Todd Woodruff tested and perfected the Waffle Champion dishes before establishing a wildly successful brick and mortar location in Midtown, where lines frequently wrap around the building. 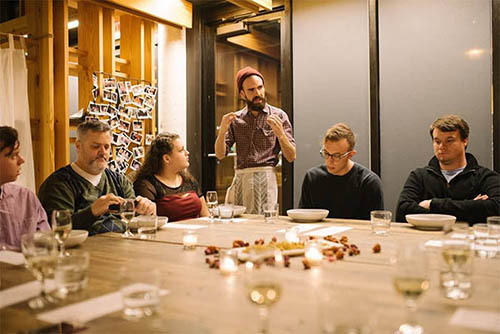 Similarly, Woodruff paired with chef Colin Stringer formerly of the Nani dinner club to do occasional fixed-price dinners inside the Waffle Champion space, which also drew rave reviews. 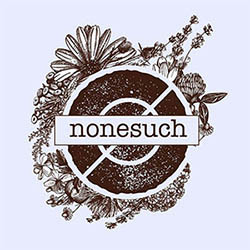 Now, Woodruff and Stringer are preparing to open nonesuch in the Main Street Arcade at 629 W. Main as a permanent home to this tasting menu concept. Nonesuch will be an intimate 1,500 square foot space at the far west end of the Arcade, facing the new 21c Museum Hotel. The main table will be u-shaped to encourage interaction of guests and chefs. 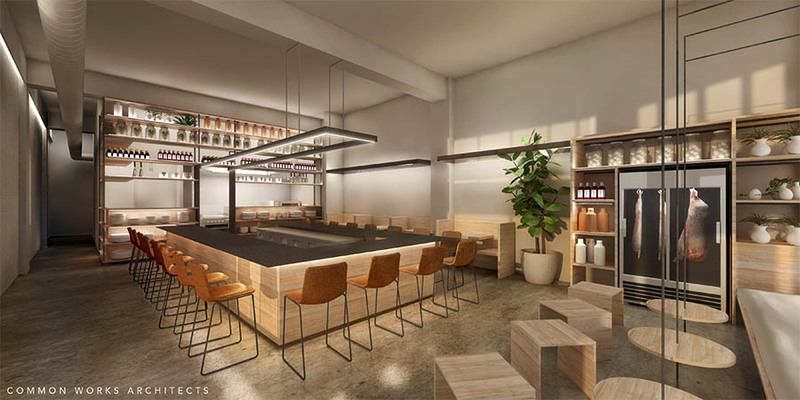 35 seats will be featured and patrons offered a combination of tasting menu and ala carte / bar snack type offerings along with beer and wine. With a projected spring opening, hours will be Tuesday through Saturday 4 to 11PM. Design is by Common Works Architects of Oklahoma City. Woodruff has formed Day One Concepts, a management holding company for h Waffle Champion, Buttermilk Food Truck, Maples Barbecue Stand (coming soon to Midtown), and future ventures. The current general manager at Waffle Champion, Derek Forari, will be promoted to Director of Operations to oversee the all the restaurants. Revel 8, which currently operates a salon in the Packard Building in Midtown, will also be a tenant in the Main Street Arcade, with a men's grooming salon on one side of the lobby and a separate nail studio on the other. Also, plans are in the works for a unique bar to be located to the east of nonesuch. 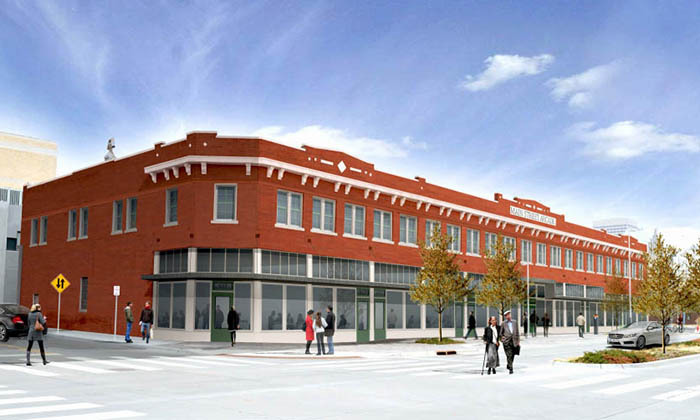 Main Street Arcade was built in 1936 and recently renovated by the Pivot Project group.